Last edited by Gethe : 07-19-13 at 08:34 PM. I am very sorry for Nib and I will send healing thoughts his way. Also want to thank you for your help in maintaining while he is away. I would like to see if there is away to have a small pet bar to better monitor the health. Pet health and power is integrated into the player frame as a single line on the respective player bar. You can see an example on the info page. I'll keep in mind to make something a bit more conspicuous, but I would like to keep the symmetry between the player and target frames. I do see and I have a hard time following the health of my pet. Practice is making perfect. I just wanted to request something a little more easy on the eyes. I am on a pvp server and it is hard to keep track of my pet's health when I am trying to stay alive myself. I can't thank you enough for maintaining RealUI, Gethe. All the best. First of all Gethe, you're amazing. Now on to my thoughts. I was thinking about Lady Pickle's predicament and wonder how important Target of Target (ToT) is to certain roles. I could see it being more important for Healers or maybe even Tanks, but for DPS it's less important and most of the time unnecessary. Is there a way we can replace the ToT frame with the Focus frame and put the pet frame in its place? As an additional thought, is there a way to have different frame positions, maybe on a switch between PvE (partying, raiding) and PvP (BGs, Arenas)? You could use something like ACP and set up two sets of addons to be loaded for the different characters. This would present problems though if the compilations contain the same addons with global saved variable files. The second option would be to copy your entire wow folder, and create two seperate instances of it. This would allow one copy of wow to use its addons, and the second copy to use a completely different set of addons. Hey there, I'm sorry to hear about Nib, get well soon! just recently came back to the game. Before I quit playing I was using RealUI.  What issues am I going to come across when I install a clean version of RealUI? Will I need to make some adjustments, if so, is it something that a person who hasn't messed with this UI stuff in a while may have trouble doing or is it fairly simple? Speech Bubbles seem to be bugged for me, at least in instances. Our healer usually says stuff about the dispells and CDs he uses in /p. And in the speech bubbles, his name is substituted for some mob's name, most of the time. This might work, but there are additional things that need to change for it to be smooth. A PvP layout is possible, though since I don't PvP I wouldn't know where the frames would be best placed. For a fresh install, you shouldn't have any issues to contend with as long as you follow the README. If you do, please let me know. Thats odd, do you have any screenshots? Are there any errors (red bag on the minimap)? Nothing in Bugsack, will see if I can get a screenie during our next runs. Aurora changes the speech bubbles. You could try updating it. @ Gethe - Will you also be maintaining some of the nibaddons? and get well soon Nib! Last edited by Be3f. : 10-14-12 at 01:29 PM. Send a private message to Be3f. Find More Posts by Be3f. I seem to miss the right side of the IceHud bars to track my dots, suggestions on how i can solve this? Sorry if it has been asked before. Thanks Nib, Gethe... just letting you know that I leveled a Monk to 90, mostly used RealUI for it too. Having this problem too and I can't get /IceHUD to work or get to any sort of in-game configuration for it. Cool! Did you notice whether your Chi was displaying properly?